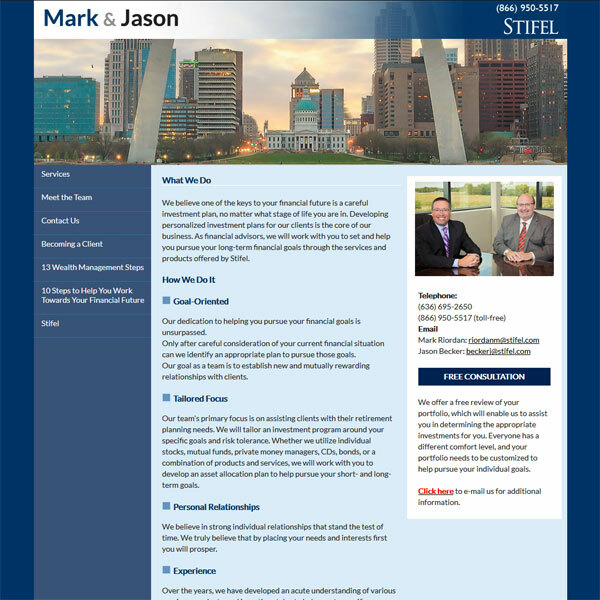 We have been working with Mark and Jason, a St Louis financial advisor group, for quite a few years now and in that time their website has gone through a few transformations. The latest is a small re-design as a result update in their brand image. Sometimes the smallest tweaks can have a huge impact on the overall look and feel of a site making it look a lot fresher and more current. We tweaked the colors, added a new header and used a more modern font. The result? A much cleaner looking inviting site.